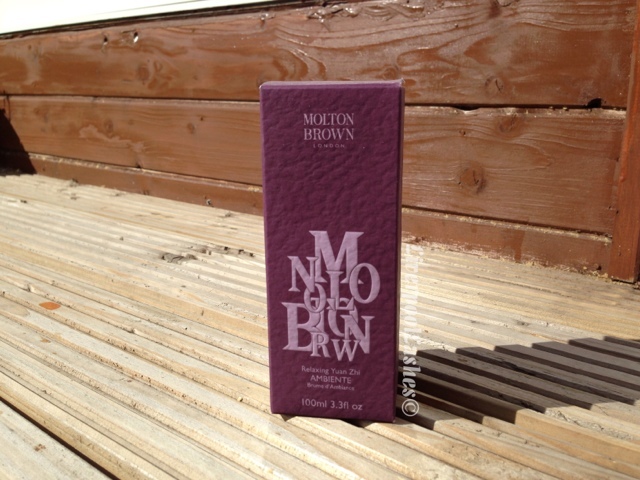 Unbelievably Molton Brown is a brand that I had not yet explored. I decided to buy their Relaxing Yuan Zhu Ambiete to see if it would help me sleep as recently I've been having such a hard time switching off. The spray itself says to spray on skin or into the air so I'm guessing it's not designed as a pillow spray like the ones I normally buy, perhaps has not been tested to see if it stains etc. The scent is light, I wouldn't say it's the typical relaxing spray I normally buy but it's definitely a calming fragrance as it contains Ylang Ylang amongst other notes. 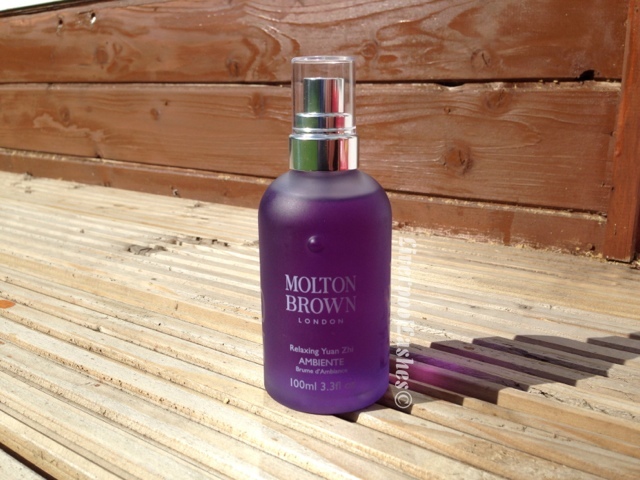 Molton Brown describe this spray as 'Floriental' which I think is a perfect way of saying that it has both floral and oriental tones although I'd probably say more oriental. The bottom line is.. I think this spray is a wonderful scent. I think it definitely is calming and relaxing. To be blatantly honest (as always!) I don't think I'd repurchase it as I adore my Spa Rituals Close Your Eyes Fragrance Mist that contains actual essential oils. I think that the Spa Rituals version works slightly better although as it's more difficult to get hold of than the Molton Brown (I have to order it as part of my business supplies) However I'd say if you can't get hold of Spa Rituals products this is definitely a good alternative, perfect for your bedroom or therapy room if you work in the industry.